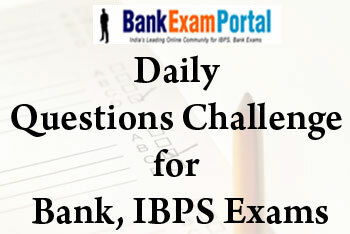 user7's blog | BANK EXAM PORTAL : IBPS, SBI, PO, Clerk, IPPB, Bank Jobs Aspirants Community. (a) Private - Public partnership in higher education. (b) Financial decision making: a balance between national and international priorities. .
(c) Empowered bureaucrats and social upliftment. (d) Consumerism in Indian society. (e) e - banking as a green measure. India aspires for a faster economic growth, possibly even exceeding China's. India also wants an inclusive growth that is socially, politically and environmentally sustainable. Impediments to this growth are poor infrastructure, inefficiencies in public services, corruption and lack of accountability - all caused by poor governance. The June 2011 Financial Stability Report (FSR) of the Reserve Bank of India reflects great perspicacity. The report underscores the RBI’s analytical skills as it assesses sources of systemic risk. The Report is not something to be glanced over and consigned to the archives. It is truly reflective of RBI’s concern on various issues, and outlines certain policy pointers in the way ward. The report recognizes that a showdown in growth momentum is inevitable as inflation looms large, with the possibility of further upward pressure in the ensuing months. This could affect the quality of asset of the financial sector. 1. Write an essay of about 500 words on any one of the following topics. (a) The impact of shopping malls on young people. (b) One hundred years of Indian Cinema. (c) The multifarious note of a woman. (d) Can the honest stand out against the corrupt ? (e) Cybercrimes in banking sector. The cries for investor education have become shriller in the past few weeks. Without an understanding of the context in which we except people to learn finance, we may not go too far. The first lession to teach is about risk. We have to do this with empathy for the cultural context in which we have lent and borrowed money. We continue to shift the blame when a crisis hits us because we are not trained to deal with risk. Ex-Servicemen who do not possess the above civil examination qualifications should be matriculate Ex-Servicemen who have obtained the Army Special Certificate of Education or corresponding certificate in the Navy or Air Force after having completed not less than 15 years of service in the Armed Forces of the Union as on 10.10.2018. Such certificates should be dated on or before 10.10.2018. Pre-Examination Training may be arranged by the Nodal Banks/ Participating Organisations to a limited number of candidates belonging to Scheduled Caste/ Scheduled Tribes/ Minority Communities/ Ex-Servicemen/ Persons With Benchmark Disabilities at certain centres viz. Agartala, Agra, Ahmedabad, Allahabad, Amritsar, Aurangabad, Balasore, Bareilly, Behrampur (Ganjam), Bengaluru, Bhopal, Bhubaneshwar, Chandigarh, Chennai, Coimbatore, Dehradun, Dhanbad, Gorakhpur, Gulbarga, Guwahati, Hubli, Hyderabad, Indore, Jabalpur, Jaipur, Jammu, Jodhpur, Kanpur, Karnal, Kavaratti, Kochi, Kolkata, Lucknow, Ludhiana, Madurai, Mangalore, Mumbai, Muzaffarpur, Mysore, Nagpur, New Delhi, Panaji (Goa), Patiala, Patna, Port Blair, Puducherry, Pune, Raipur, Rajkot, Ranchi, Rohtak, Sambalpur, Shimla, Shillong, Siliguri, Thiruchirapalli, Thiruvananthapuram, Tirupati, Vadodara, Varanasi, Vijaywada and Vishakhapatnam. All eligible candidates who opt for and wish to avail of Pre-Examination Training should fill in the relevant column in the ON-LINE APPLICATION. While training will be imparted free of cost, all other expenses regarding travelling, boarding, lodging etc. will have to be borne by the candidate for attending the pre-examination training programme at the designated Centres. Depending on the response and administrative feasibility the right to cancel any of the Pre- Examination Training Centres and/ or add some other Centres and/or make alternate arrangements is reserved. By merely attending the Pre-Examination Training no candidate acquires any right to be selected in any of the Participating Organisations mentioned. $ Candidates belonging to OBC category but coming in the 'Creamy Layer' are not entitled to OBC reservation. They should indicate their category as 'General (GEN)’. 1. Officers in Grade 'B' (DR) - (General) • A minimum of 60% marks (50% in case of SC/ST/PwBD) or an equivalent grade in Bachelor's degree as well as in 12th (or Diploma or equivalent) and 10th Standard examinations. a. A Master's Degree in Economics / Econometrics / Quantitative Economics / Mathematical Economics / Integrated Economics Course/ Finance, with a minimum of 55% marks or an equivalent grade in aggregate of all semesters /years from a recognised Indian or Foreign University /Institute. Note: SC, ST and PwBD candidates having second class with a minimum of 50% marks or equivalent grade in aggregate of all semesters / years in Master's Degree examination or equivalent recognized qualifications are eligible to apply. Desirable: A Doctorate Degree in Economics or research or teaching experience in Economics or publications in standard journals would be considered as an additional qualification. Candidates having M.Phil. Degree and Doctorate Degree from a recognized Indian/Foreign University/Institute in the specified subjects will be eligible for relaxation in the upper age limit by 2 years and 4 years respectively. (i) Candidates having Master's Degree with Research/Teaching experience at a recognized Indian/Foreign University/ Institute will be eligible for relaxation in upper age limit to the extent of number of years of such experience subject to a maximum of three years. For experience, probationary period will not be reckoned. (ii) The above age relaxations will not be cumulatively available with age relaxations available to various categories as mentioned in Para 3 II (b) above. d. Post Graduate Diploma in Business Analytics (PGDBA) jointly offered by ISI Kolkata, IIT Kharagpur and IIM Calcutta with a minimum of 55% marks or equivalent grade in aggregate of all semesters/years. NOTE: For SC, ST and PwBD candidates, the minimum marks required in Master’s Degree as in items a, b, c and d above is 50% or an equivalent grade in aggregate of all semesters/ years. Desirable: (i) Candidates with a Doctorate in topics related to above subjects will be given preference. (ii) Research or teaching experience and publication in standard journals will be considered as an additional qualification. Note: (i) Candidates possessing M.Phil. and Ph.D. qualification in the specified subjects will be eligible for relaxation in upper age limit by 2 years and 4 years respectively. (ii) Candidates with research / teaching experience at a recognized Indian / Foreign University/Institute will be eligible for relaxation in upper age limit to the extent of number of years of such experience subject to a maximum of three years. For experience, probationary period will not be reckoned. (iii) The above age relaxations will not be cumulatively available with age relaxations available to various categories as mentioned in Para 3 II (b) above. Note I: The candidate must hold a degree of any of Universities incorporated by an Act of the Central or State Legislature in India or other educational institutions established by an Act of Parliament or declared to be deemed as a University Under Section-3 of the University Grants Commission Act, 1956, or possess an equivalent qualification from a foreign university recognized by the Association of Indian Universities. Note III: Aggregate Grade Point or percentage of marks where awarded would mean aggregate over the entire duration of the course. Note IV: Where the Aggregate Grade Point (CGPA/OGPA/CPI, etc.) is awarded out of a number other than 10, it will be normalized out of 10 and computed as per note 2 above. A candidate must have attained the age of 21 years and must not have attained the age of 30 years on the 1st of July, 2018 i.e., he/she must have been born not earlier than 2nd July, 1988 and not later than 1st July, 1997. For candidates possessing M.Phil. and Ph.D. qualification, upper age limit will be 32 and 34 years respectively. Selection for the aforementioned posts will be done through ONLINE examinations in Phase - I and Phase - II and interview. Detailed scheme of selection is given at Appendix - II (Gr. B(DR)-General) / Appendix - Ill (Gr. B(DR)-DEPR) and Gr. B(DR)-DSIM) which are available on the Bank's website www.rbi.org.in. Selection will be through ONLINE Examinations and interview. Examinations will be held in two phases as described in following paragraphs. (I) Phase-I online Examination (Objective Type): This will comprise a single Paper for 200 marks and will be held on August 16, 2018. Depending on the number of candidates, the examination may be held in multiple shifts and on some other days also. A candidate, however, has to appear for examination in only one shift on the given day. The date, time and venue on which a candidate has to appear for examination will be specified in the Admission Letter (AL) to be downloaded by the candidate from our website (www.rbi.org.in). The ‘corrected-scores’ obtained by each of the candidates in different sessions (if held) will be normalized using equipercentile method. Candidates have to secure minimum marks separately for each test as well as in aggregate, as may be prescribed by the Board. Candidates, who secure minimum marks separately for each Test, as prescribed, will be shortlisted for Phase-II of the examination based on the aggregate marks obtained in Phase-I. The minimum aggregate cut-off marks for being shortlisted for Phase-II of the examination will be decided by the Board in relation to the number of vacancies. Roll No. 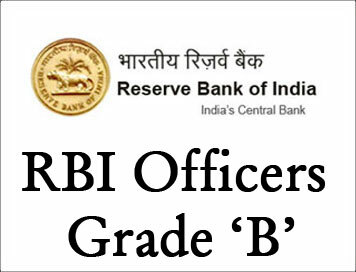 of the candidates shortlisted for Phase-II examination will be published on RBI web-site, tentatively within a week after Phase-I examination. NOTE: All question papers (in both the Phases, except the test of English) will be set bilingually in Hindi and English. The Board reserves the right to modify the exam dates and time entirely at its discretion. (III) Interview: Candidates will be shortlisted for the interview, based on aggregate of marks obtained in Phase-II (Paper-I +Paper-II +Paper-III). The minimum aggregate cut off marks for being shortlisted for Interview will be decided by the Board in relation to the number of vacancies. Roll No. of the candidates shortlisted for interview will be published on RBI website at appropriate time and interview call letters will be sent on registered email ID. Interview will be of 50 marks. Candidate may opt for interview either in Hindi or English. Final Selection will be through merit list which will be prepared by adding marks secured by candidates in Phase-II examination and interview. Candidates are required to apply only online using the website www.rbi.org.in. No other means / mode of application will be accepted. Detailed instructions for filling up online applications are available at Appendix –I which is available on the Bank’s website www.rbi.org.in. The applicants are advised to submit only single application; however, if due to any unavoidable situation, if he/she submits another/multiple applications, then he/she must ensure that application with the higher Registration ID (RID) is complete in all respects like applicants’ details, examination centre, photograph, signature, fee etc. The applicants who are submitting multiple applications should note that only the last completed applications with higher RID shall be entertained by the Board and fee paid against one RID shall not be adjusted against any other RID. 1. Which of the following court is also called as World Court? 2. Which of the following statement(s) is/are true about SEBI? i) The Securities and Exchange Board of India (SEBI) is the regulator for the securities market in India. ii) It was established in the year 1988 and given statutory powers on 30 January 1992 through the SEBI Act, 1992. 3. Source of authority and power of Indian Constitution is derived from? 1. Which among the following is NOT mentioned in the constitution? 2. Power to specify a tribe as Scheduled tribe lies with? 3. Which of the following National Park is located in the northern bank of Brahmputra and has the highest density of tigers in India? 1. Which of the following statements are true about Article 21? ii) Guaranteed under Part III of constitution. 2. Which Article of the constitution talks about appointment of Judges of Supreme court? 3. Which of the following statement(s) is/are true about Aadhaar? i) Aadhaaris a 12-digit unique identity number issued to all Indian residents based on their biometric and demographic data. ii) The data is collected by the Unique Identification Authority of India (UIDAI), a statutory authority established in January 2009 by the government of India, under the jurisdiction of the Ministry of Electronics and Information Technology, following the provisions of the Aadhaar (Targeted Delivery of Financial and other Subsidies, benefits and services) Act, 2016. 1. Sugar bowl of India? 2. Practice of having more than one wife or husband at same time is called? 3. Act of 1909 is also known act? 1. What is the capital of Andaman and Nicobar Islands? 2. Who is the present Chief Election Commissioner of India? 3. Where is Angel Falls located? 1. Which of the following states Cauvery DOESNOT flow? 2. Kuroshio Current is an oceanic current available in? 3. Which of the following statement(s) is/are true about LED? It is a p–n junction diode that emits light when activated. When a suitable current is applied to the leads, electrons are able to recombine with electron holes within the device, releasing energy in the form of photons. 1. Which of the following statement(s) is/are true about GST? i) Goods and Services Tax (GST) is an indirect tax levied in India on the sale of goods and services. ii) Goods and services are divided into five tax slabs for collection of tax - 0%, 5%, 12%,18% and 28%. iii) Petroleum products and alcoholic drinks are taxed separately by the individual state governments. 2. Which of the following countries doesn’t fall in the tropics? 3. What are the qualifications to become High court Judge? i) He should be a citizen of India. an Advocate for 10 years in a High Courts in India (Article 217). 1. Aadhaar contains how many digits? 2. Which is the capital of Assam? Which among the above is/are correctly paired with its/their respective type of landforms? 1. Which is the Highest motorable pass in the world? 3. Which of the following countries doesn’t border Mediterranean Sea? 1. What is the minimum age for being a member of Lok sabha? 2. Which of the following statement(s) is/are true about Supreme court? i) The Supreme Court of India is the highest judicial forum and final court of appeal under the Constitution of India, the highest constitutional court, with the power of constitutional review. ii) It has extensive powers in the form of original, appellate and advisory jurisdictions. iii) It safeguards fundamental rights of citizens and settles disputes between various governments in the country. 3. Which of following glacier is not located in Karakoram Range? 1. Which of the following statement(s) is/are true about SEBI? 2. Which of the following statement(s) is/are true about IRDAI? i) The Insurance Regulatory and Development Authority of India (IRDAI) is an autonomous, statutory agency tasked with regulating and promoting the insurance and re-insurance industries in India. ii) It was constituted by the Insurance Regulatory and Development Authority Act, 1999, an Act of Parliament passed by the Government of India. 3. The strait that connects Red sea and Mediterranean sea is? 1. the famous ‘Angkor Vat’ temple is situated in which of the following South-East Asian country? 2. WTO head quartered at? 3. Which among the following water bodies borders Syria on the west? 1. Which is of the following is not an UNESCO World Heritage site? 2. Which mountain of France on south borders it with Spain? 3. Which of the following countries doesn’t fall in the tropics? 1. Tejas Fighter Aircraft is manufactured by? 2. Where is the Founding Conference of ISA held? 3. IMF headquarters is at? 1. Coral reef are held together by which of the following substance? 2. Which waterbody is situated on the south side of France? 3. Lighting is caused by? 1. Which of the following rivers doesn’t flow through Andhra Pradesh? 2. Which among the following vaccines is not covered in the Universal Immunistaion Programme? 3. Which of the following statements are true about TB? 1. Which among the following countries is the largest producer of steel? 2. Goals of World Bank includes? 3. The single acid which dissolves gold is ? 1. What is the software called that’s designed to exploit a computer user and is a broad term covering computer viruses, worms, Trojan, adware, etc.? 2. The “Ease of Doing Business Index” is prepared and published by? 3. What is the name of the border line between India and China? 1. Which of the following empowers the Centre to setup National Financial Reporting Authority? 2. Pobitara wildlife sanctuary is located in? 3. Netravathi river is situated in? 1. Bedaquiline and Delaminid are used to treat which of the following disease? 2. Who is the head of Cabinet committee on Security? ii) In New Zealand, the judiciary is NOT within the purview of the Parliamentary Commissioner for Investigation. 2. With reference to deficit financing, monetized deficit is the part that is financed through?